A coalition of NGOs says that an Indonesian palm oil producer is illegally clearing forests and endangering the orangutans that live there, according to a report released last month. Bumitama Agri, a company that produces crude palm oil (an ingredient in many packaged foods) and is worth $1.5 billion, had promised not to harvest in critical orangutan habitat earlier this year -- but the new report says that the company has reneged, and even that one of its subsidiaries is creating "orangutan graveyards" in areas near its plantations, MongaBay reports. "Most consumers of packaged foods don't know that they are contributing to the illegal destruction of rainforests," said Jeff Conant, international forests campaigner at Friends of the Earth, one of the groups behind the report. 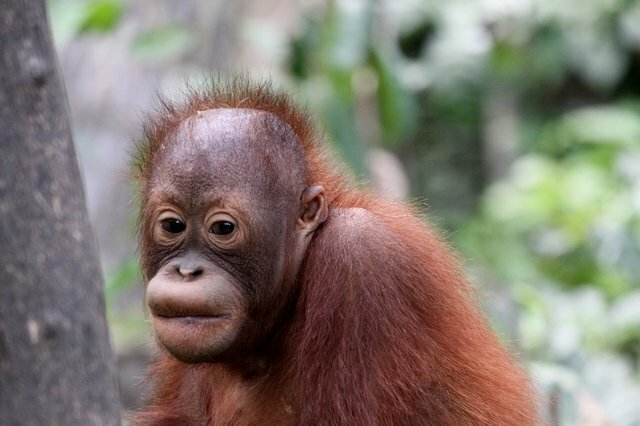 "But financiers who invest in palm oil – with full knowledge of the industry's corrupt and rapacious way of doing business – have no such excuse."